….a collection of images I’m sure I will treasure always. My very favourite part each year is to take a look at all the moments, all together. It doesn’t matter what order, I just like seeing the beauty (and heartache) that was January 2012, in one complete ‘frame’. Peta - You have captured some really gorgeous photos this year Nicole. I have really enjoyed following your project. Jennifer Stocks - This has been my favourite project of yours to date. I have loved it so much. You are amazing my friend. So talented. So special. Meaghan Cook - These are an amazing collection all together my friend. And the one of Willow swinging on the treadmill is superbly hilrious! Gold. Kylie Douglass - I remember loving following your PAD last year, and although I haven’t had the chance to do so this year on a day-to-day basis, I have loved sitting here now looking back through your January 2012 journey. You have three absolutely gorgeous children, and your photos are always just amazing. I love the way that you capture it all so beautifully. All the best for the rest of the year ahead! Kim Selby - So wonderful Nicole. I have so enjoyed following your PAD. 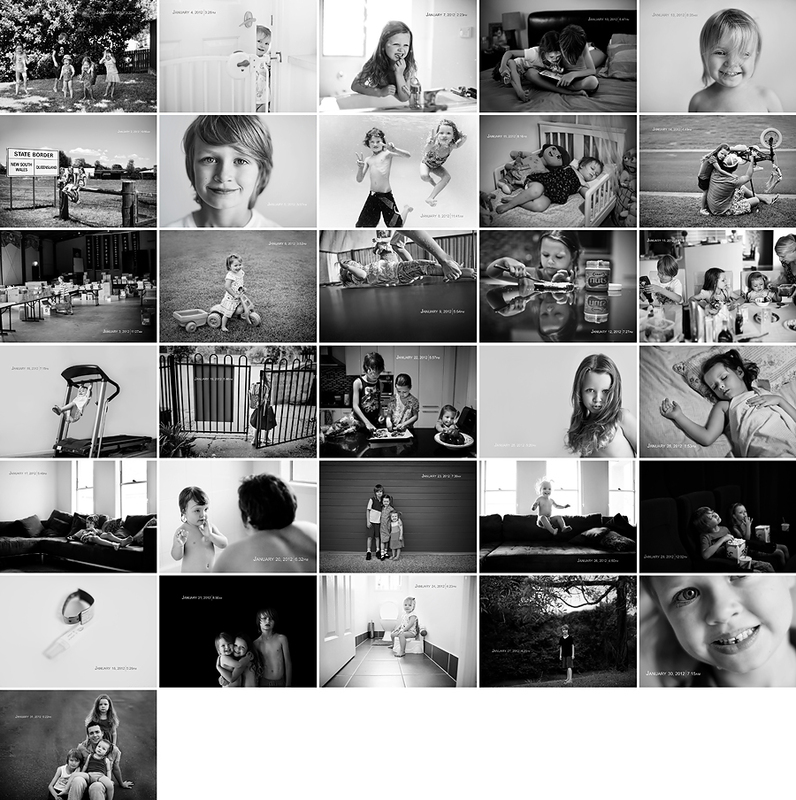 What an amazing collection of images – to be cherished by you and your children for years to come. IamMel - Your photos a day for January are some of the best i’ve seen. I love watching your kids grow.